The Walking Dead Season 5 is still a ways off, but it's not too soon to start gathering information about the zombie drama. We actually already know quite a bit about what to expect from Season 5, including details about the cast, where the story will pick up and more. When will Walking Dead Season 5 air? Last Fall, AMC confirmed that The Walking Dead would return for Season 5 this fall, and that Scott Gimple -- the series' current showrunner -- would return as well. The 16-episode season is expected to debut this October and will presumably be split in half, with the first eight episodes airing in the Fall and the second eight airing Midseason 2015. How did Season 4 leave off? The second half of Season 4 of The Walking Dead had Rick and his people separated, following the prisoner exodus, but all making their way toward Terminus, the advertised sanctuary at the end of the train tracks where, "those who arrive, survive." 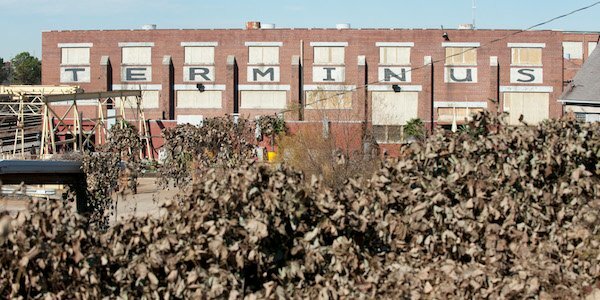 The running theory is that Terminus is home to the cannibals from the comics, however this was not officially confirmed when Season 4 ended, though we did see a pile of what appeared to be human bones in the compound, and the season left off with Rick and some of his group corralled and imprisoned inside an old railroad care by the gun-toting Terminus folk. So things aren't looking so good. Find a more thorough recap of what went down during the finale of The Walking Dead here. Where are all of the characters? The first half of Season 4 left off with the prison being destroyed by the Governor's people and Rick's group being separated as they headed away from the mess. By the end of Season 4, Rick, Michonne, Carl, Daryl, Glenn, Maggie, Sasha, Bob, Tara, Eugene, Abraham and Rosita were all in the railroad car at Terminus. Carol and Tyreese are presumably on their way to Terminus. The last we saw of them, they were on their way, likely dragging their feet after Carol had to kill Lizzie, who killed her little sister. Yeah, let's not forget that happened. Carol also revealed to Tyreese that she was the one to kill Karen, so their relationship's probably pretty strained, to put it mildly. Carol wasn't the only one who did what had to be done last season on The Walking Dead. Remember that mean guy Joe and his band of "claiming" merry men? 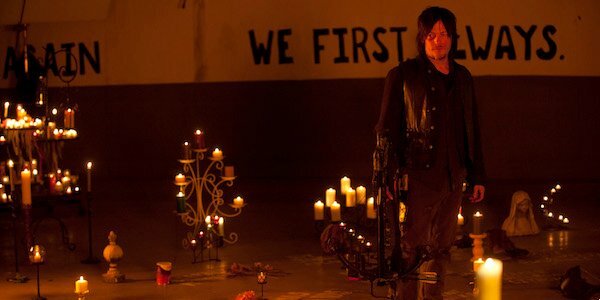 The group adopted Daryl as one of thier own and eventually made the mistake of crossing Rick and threatening Carl. In an effort to protect Carl, Michonne and himself, Rick tore out Joe's throat and -- with the help of Daryl and Michonne -- took down the rest of Joe's guys. It seems necessary to include a reminder of that bit of brutality as we consider how Rick might lead his group out of this Terminus situation, assuming he can and will. Beth was last seen running out of the house where she and Daryl had been staying. She's presumably been kidnapped. 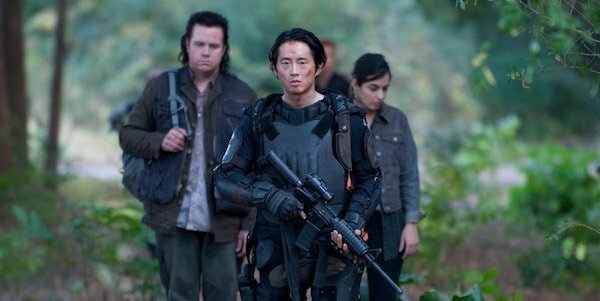 Where will Walking Dead Season 5 pick up? Season 5 will be more action heavy. We will see Morgan again. Scott Gimple doesn't actually specify "in Season 5" nor any specific time-frame in which Morgan Jones would return, but from the sound of it, he'll definitely be back eventually. 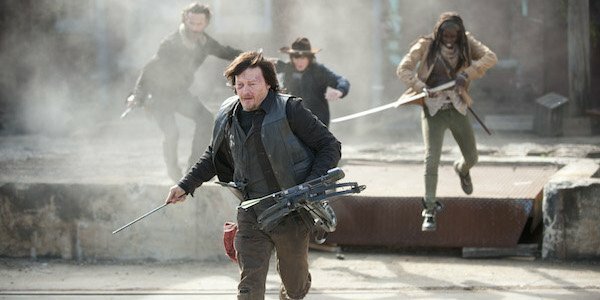 If your memory's rusty, Morgan is the man Rick encountered in the pilot episode, and then again with Carl in Season 3. There won't be a power struggle in the box car but maybe in the season. Gimple didn't go into details, but when asked if there would be a power struggle in the box car, with so many alpha males involved, Gimple said not in the box car, but it's a good question for later in the season. So perhaps Rick won't be the assumed leader of this group going forward, but we're guessing he'll be the leader in the box car, at the very least. 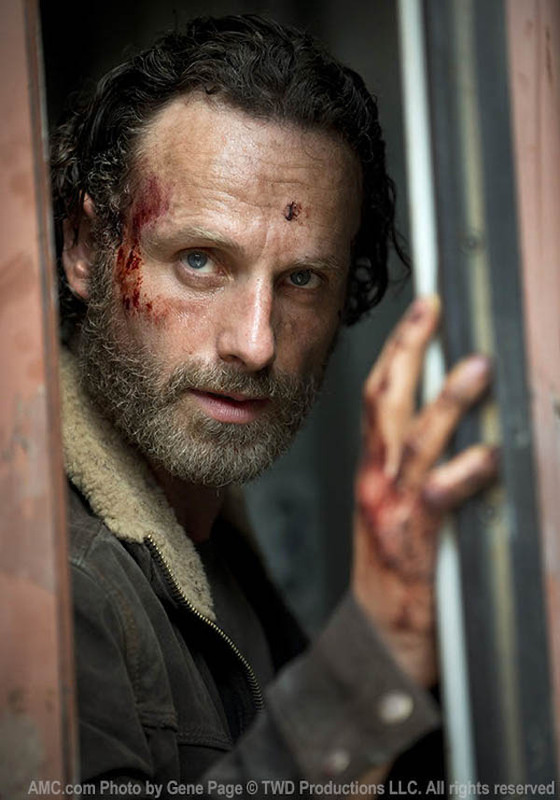 In an AMC video, The Walking Dead cast and writers describe Season 5 as "explosive," "messy," "brutal" and "thrilling." Robert Kirkman confirmed that the characters will not spend the whole season in the railroad car, but that getting out will require "ingenuity and creativity and somewhat savageness" on the part of the characters. What do we know about the cast for Season 5? The Walking Dead's cast continues to fluctuate, with some characters dying and other characters being introduced. In Season 4, Scott Wilson -- who played Hershel in the series -- exited, as did David Morrissey, whose character The Governor is also presumably dead. 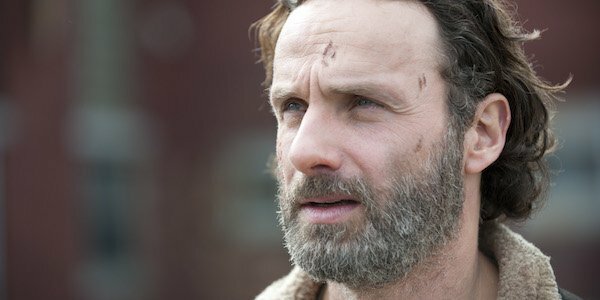 Andrew Lincoln (Rick Grimes), Steven Yeun (Glenn), Chandler Riggs (Carl), Norman Reedus (Daryl), Melissa McBride (Carol), Lauren Cohan (Maggie), Emily Kinney (Beth), Chad Coleman (Tyreese), Sonequa Martin-Green (Sasha), and Lawrence Gilliard, Jr. (Bob) are all expected to return for Walking Dead's Season 5. And as THR reported in March, Alanna Masterson (Tara), Christian Serratos (Rosita) and new arrival Andrew J. West (Gareth) have all been promoted to series regulars. Michael Cudlitz (Abraham) and Josh McDermitt (Eugene) are also on board as series regulars. West's character Gareth was introduced as the leader of the Terminus people. He's said to have a "big presence" in Season 5 and is an important character on the series. The Wire's Seth Gilliam has signed on as a series regular, but his character name and description is being kept under wraps. What have we seen from Walking Dead Season 5 so far? Who will be the next to die? 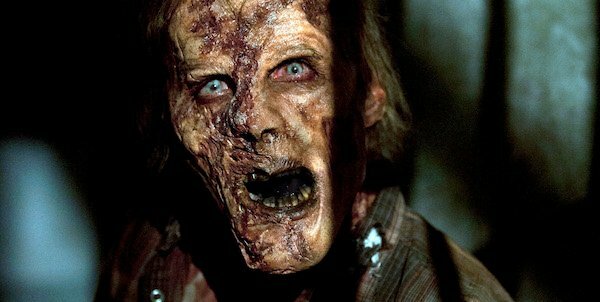 Set in a reality where reanimated corpses regularly try to eat the characters, death is inevitable on The Walking Dead. And past seasons have demonstrated that the living are just as dangerous as the dead. Season 4's casualties included recurring characters like Karen and David, to even more disturbing losses -- Lizzie and Mika -- to a villainous exit in the Governor, and of course, the death of Hershel, whose absence is still being felt. So who's going to die in Season 5? With other adaptations, we might be able to use the book/comics as a guide to determine who lives and who dies, but The Walking Dead has veered just enough off course from its source material to keep us guessing. 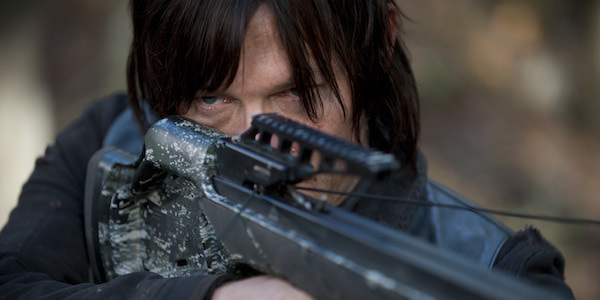 Daryl's a complete wildcard, as Norman Reedus' character was written for the show. And while he's arguably one of -- if not the -- most popular characters in the series, we might think he's safe. But no one is safe. If Daryl does die next season, we can only hope that he goes out in a blaze of glory, taking at least a few walkers or villains with him. Rick's also high on the list of characters that seem unlikely to meet their demise, but even he's not entirely safe, nor is his son Carl. On pure speculation, Carol might be higher on the list of characters in jeopardy in the near future. She's had to make some really tough calls, including putting a bullet into the back of a child's head. While it's clear why she had to do this, it's hard to imagine her coming out of that situation whole, which makes us wonder if it's just a matter of time before she meets her own end. And then there's Maggie and Glenn. For a series that tends to wallow in the misery and despair of post-zombie apocalypse survival, Glenn and Maggie have had their fair share of love and happiness. Their recent reunion was one more for the books. Is it possible they'll remain united or should we be worried for a heartbreaking conclusion for those two if one or both of them die? Between the people imprisoned in the box car and Beth being hauled off to parts unknown, we have plenty of reason to worry about the fate of these characters, but so far, it's all speculative. Which character do you think will die in Season 5 of The Walking Dead?